Timothy Bell Fitness - How Fitness Was Meant To Be! : Holiday Gift Ideas! 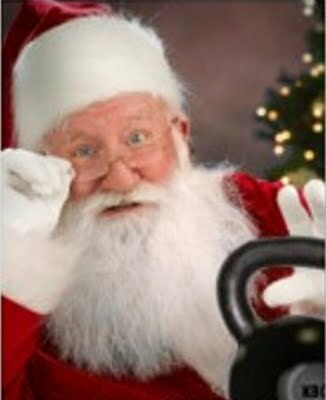 Looking for some last minute holiday gift ideas for that fitness enthusiast on your list? Well I've got a few suggestions that might help you out! "The Primal Blue Print" By. Mark Sisson: An excellent book on health/wellness from an evolutionary (caveman) point of view. I recommend this book to all my clients and love it due to the fact that it's much more than a book on evolutionary nutrition, but also a life style book. 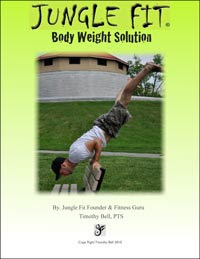 Its main theme is primal/paleo style nutrition but also touches on fitness, natural human movement, sleep, and stress! If you're looking to get back into shape and regain ultimate health, this is a great book to start! The Lebert Equalizer System: One of my personal favourite pieces of fitness equipment hands down! It's very, very versatile allowing you to perform a push ups, body weight rows, single leg squats/lunges, dips, and much more with a variation for all fitness levels! If you're not using the Lebert Equalizer, you have no idea what you're missing out on! You can find out more about the Lebert Equalizer by clicking this link. Kettlebell DVD's by. Mike Mahler: Mike Mahler is one of North Americas top kettlebell instructors. He's authored ebooks books on the subject, as well written for a hand full of major fitness publications! Mike's DVD's are second to none, put together with clear and precise instruction, expertly detailed programs, and there's one for you no matter what your fitness goal might have in mind! Learn more by clicking this link. Online Program Design: Everyone needs a little help with their training! So why not get someone you love the best gift of all? 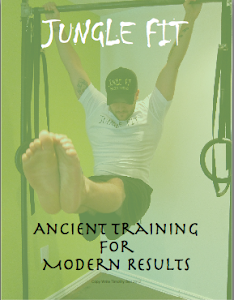 A program designed for them by highly qualified professional, and founder of Jungle Fit, Timothy Bell. Online training allows you to have a personal trainer at your finger tips to answer your questions and adjust your program any time you need. It just makes sense if you want to achieve your goals in half the time and at an affordable price! Just read one of the testimonials from satisfied clients! To learn more click here. The "Body Weight Solution" by. Timothy Bell: An in depth ebook, detailing tons of pushing, pulling, pressing, squatting, lunging, and core variations and progressions. 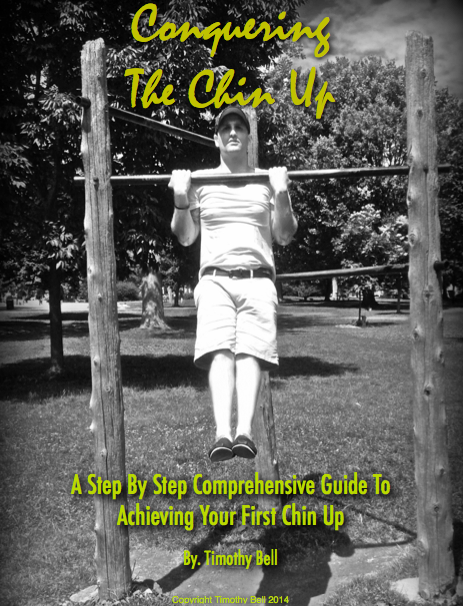 No matter who you are, where you life, how in (or out) of shape you are, this book is for you! You'll learn how to challenge your fitness through clearly detailed step by step instructions on body weight exercises, no need for equipment. You'll also learn how to put these skills together in a fitness program to help you meet your goals, no matter what they might be! To learn more just click here! "We're Working Out!" A Zen Approach To Everyday Fitness By. 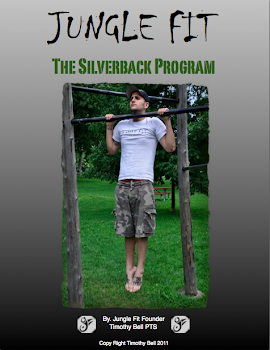 Al Kavadlo: An excellent book by one of NYC's fastest rising fitness educators! Al's unique simplistic and refreshing view on fitness is something that everyone should experience. For those who are looking to get into health and fitness, then Al's book will really help you jump into the swing of things with the perfect mind set. For the experienced trainee , Al's book will help remind you of what's truly important when it comes to health/fitness and refresh your outlook! To learn more just click here! ... So now that you have some great ideas, there's no excuse! Get out there, get shopping and share the gift of health/fitness with those you love! Happy Holidays from me (Timothy Bell) to all of you!